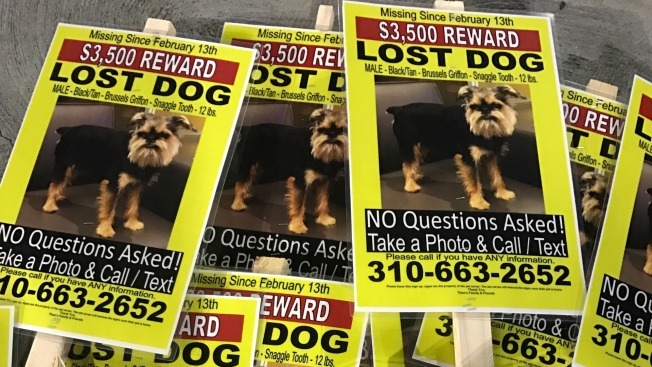 A frantic couple in the South Bay has put their wedding on hold to blanket neighborhoods with yellow signs and pour thousands of dollars into the search for their beloved dog, who went missing on Feb. 13. 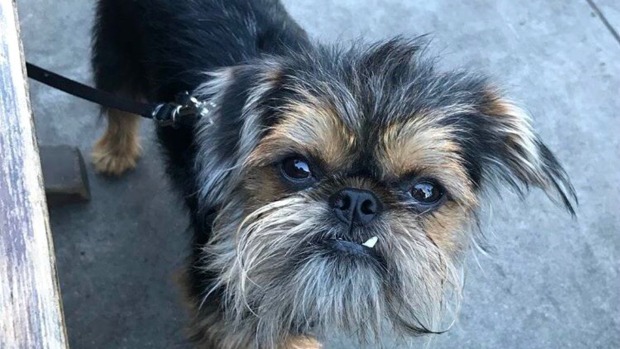 Trendee King and James Galley, who recently moved to the Bay Area from Southern California, dropped off their black and tan Brussels Griffon pooch named Theo at a national dog sitting service. The next thing they knew, he managed to slip out of a door and escape into the neighborhood near Blossom Hill Road and Almaden Expressway. "Our lives have been turned upside down and we're not sure what's next," Galley said in an email. King, who was in the midst of purchasing her wedding gown when Theo went missing, and Galley put a halt to their wedding preparation in order to search for their missing pup. 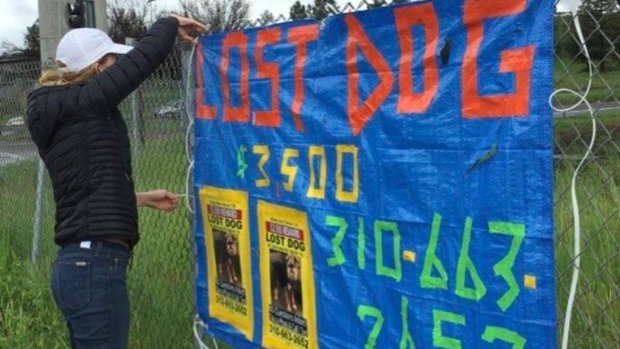 The worrisome owners have poured dollar after dollar into covering the South Bay with signs, and they even said they used six Bloodhounds in an attempt to track down the 12-pound Brussels Griffon with a snaggletooth. They are also offering a $3,500 reward. "Theo is family and we're sinking our wedding savings into finding our beloved pup," Galley wrote. Aside from the signs, the couple has littered social media with pleas asking for any information about Theo's location. King, who has more than 27,000 followers on her Instagram account, has plastered her profile with photos of the dog. Even an Instagram account with more than six million followers has joined in the search effort by sharing a photo of the yellow sign. "People are supporting us because they know dogs are our best friends, our better halves, our kids," Galley wrote. "Sometimes they fill that void in your life, sometimes they bring two people closer together, and they always make your life better. It was clear that Theo brought my fiancée and I closer together." Anyone with information about Theo's whereabouts is asked to text or call 310-663-2652.